Workshops can be hosted at a range of wonderful spaces whether it be your home, garden, small group, or church. Just make sure there's running water, and access to tables and seating. Please allot a 4 hour time slot for set-up, class & clean-up. On any given day at Studio del Creador, you'll inhale the smell of fresh baked goods, glance over at canvas masterpieces in the making, squish & mold clay into a new creations, and hear a gracious sound as strangers band together to practice their new found passion for their instrument. There's no other setting quite like it. That's why we want to bring the studio to you! ​Our desire it to cater to you and your guests by giving you a night of refreshment and creativity. 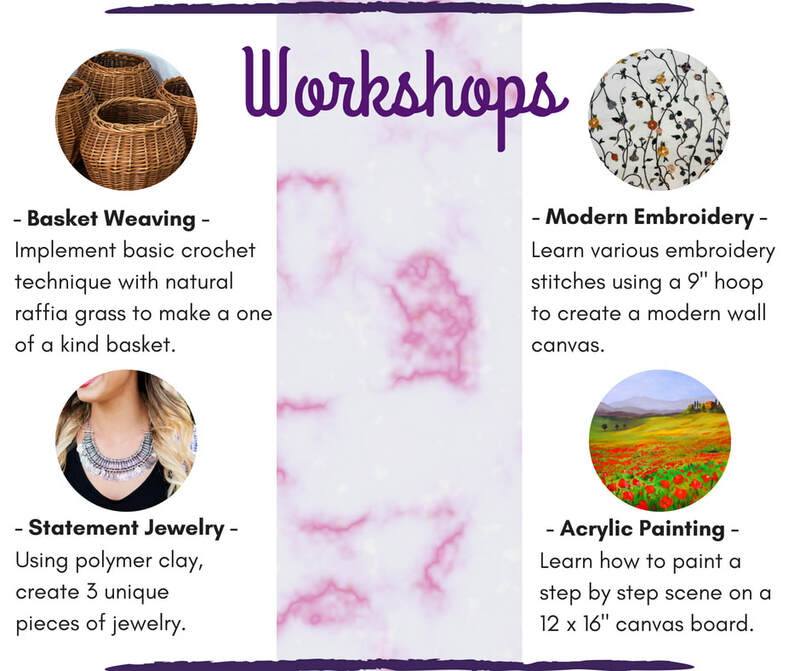 There are 4 different diverse workshops to choose from. Sign up now to host in August!